I’m not sure how long you’ve been in the business world, but chances are if it’s been awhile then you are familiar with the ins and outs of traditional outbound marketing. Traditional methods include print advertisements, television ads, cold calls and mailed reminders and primarily focus on exposing your business to attract new customers. These methods are tried and true and have worked well in the past. But if you’ve been paying attention even a little bit, recent years have brought in new ways of marketing. The internet and digitization of the modern world has taken many marketing techniques off of paper and the short commercial segments of our TV screens and instead, online. Online marketing focuses in large part on inbound marketing. This allows businesses to make their brand available to the people who are already searching for their product or services. So, when people search online for “affordable dentist in Seattle”, inbound marketing makes sure that you and your website, as an affordable dentist in Seattle, are showing up and standing out to those potential customers. As Google receives more than 63,000 searches per second on any given day, it’s time you figure out how your business if going to be found online. SEO stands for search engine optimization. It’s a process that uses certain best practices to rank well with search engine algorithms which determine how far up on pages a website is listed. PPC, or “pay per click”, advertising allows one to purchase ads directly to be placed first on a search engine result page (SERP). These ads are always listed above the organic search results and are marked in a way so that users know they are a paid ad. The basics of PPC come down to choosing a set of keywords that potential customers might use to search for whatever it is you offer. Whether it is a plumbing service, high-end handbag or local restaurant, while the keywords and target audience for each business will be different, the way PPC works remains the same. Search engines show your paid advertisement when they think it fits the needs of whoever is searching, and how much you are willing to spend on your ads. You pay for every customer who clicks on your ad. So, the larger the budget, the more keywords you can use to get your ad showing up online. 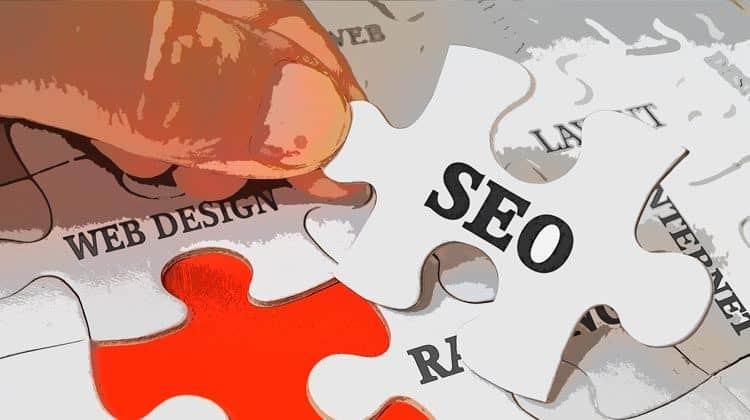 There are many benefits of SEO, but of course no one strategy is perfect. Let’s get a well-rounded look at the pros and cons of SEO, in comparison with PPC. Now that you have a better understanding of SEO, let’s do the same with PPC. How can SEO & PPC work together? Both can attract new leads where the other doesn’t, and greatly increase your profits. The relationship is like the ying-yang of online marketing. So, consider a combination of the two methods. You may use PPC to generate leads for short-term marketing campaigns, such as promotions or new products. You can use SEO for a more consistent web presence and to build your brand authority over time. Using PPC and SEO together brings in immediate results with long-term impact. Another great incentive to use PPC and SEO together is that using PPC can get people to notice your brand, and therefore other inbound marketing techniques, quicker than if they were performing singularly. And in general, the more chances to be seen, the better. I’m amazed, I hasve to admit. Rarely do I encounter a blog that’s equally educative and entertaining, and without a doubt, you’ve hit the nail on the head. my searchh for something regarding this. Internal linking is a great way to improve the bounce rate. And it is a good SEO practice too. These links help search bots to easily crawl your website. Thanks for writing a great article. hese links help search bots to easily crawl your website. Thanks for writing a great article.